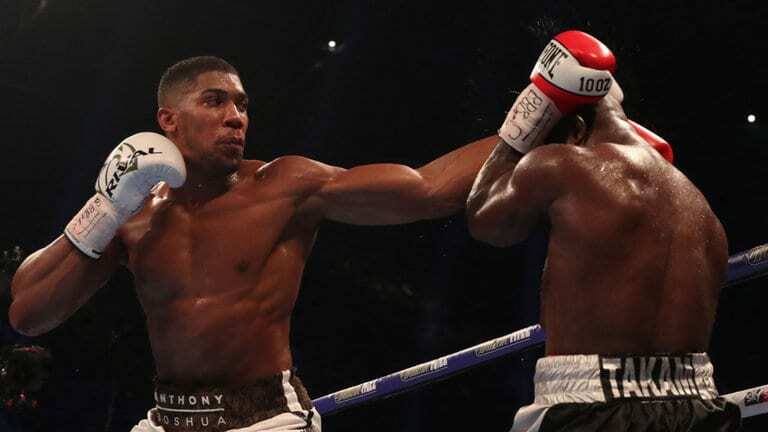 Anthony Joshua retained his WBA ‘super’ and IBF heavyweight titles with a 10th-round stoppage win over Carlos Takam after a brutal battle in Cardiff. Anthony Joshua defended his WBA and IBF world heavyweight titles by wearing down a game Carlos Takam with a somewhat controversial 10th-round stoppage at a raucous Principality Stadium. Anthony Joshua, The world heavy weight champion, damaged his nose in a heavy head collision early on and did not have things all his own way against a fighter who took the bout at 12 days’ notice. Takam replacing the injured Kubrat Pulev, and the Cameroonian displayed his renowned durability as he dragged Britain’s star boxer into a dogfight. But in a key fourth round in which both men enjoyed success, Joshua dropped his man with a hook and badly damaged the eye of his rival. Takam caught Joshua heavily several times and deserves immense credit for his role in this fight. Takam, 36, was under pressure but not out on his feet and some inside the Cardiff venue booed the stoppage. But a big factor in the stoppage must have been that Takam had less than two weeks to prepare for this fight. So the Referee must have felt compelled to protect him. This fight didn’t have the same hype as the Klitchko fight, or provided the same level of test for Joshua. But this is all part of his learning curve as the champ has only got 20 fights under his belt. And this process of rounds in the ring cannot be emphasized enough. The last two fights of Joshua, have displayed his character and will to succeed. He hasn’t had either of those fights go all his own way. The unbeaten 28-year-old has had to dig deep but he has shown that he is prepared to do the work and put in the rounds to get the job done. A rematch would be an interesting prospect, to see what the French based Cameroonian can do with the right amount of preparation for a heavy weight clash with the Champion.